In church of a Sunday when the parson preaches about the sins and failings of women, I would swear he gazes straight at me with a stern, disapproving look. Patience Martin knows she is hardly the model of good behavior. But what incentive does she have? After her mother's death three years ago, her father bound her as a servant to the wealthy Mrs. Worth. Then her father died in the same shipwreck that left Mrs. Worth a widow in the middle of a difficult pregnancy. She has four long years to serve a woman who never has a kind word to say to her. Of course, things are about to get much, much worse. Mrs. Worth is found dead, and her brother-in-law plans to sell Patience off with no concern for her well-being. Patience takes her chance to run away, but soon learns that she is suspected of stealing Mrs. Worth's money, and there is a reward on her head. With the help of a smart young printer's apprentice, she just might save herself and bring the murderer to justice. As in Wicked Will, MacDonald sets the scene with period details. Patience is a winning heroine - quick-witted and determined, clearly a girl ahead of her time. The young Ben Franklin is charming, depicted with just enough human faults to remind the reader that even such an American legend was once a teenage boy. 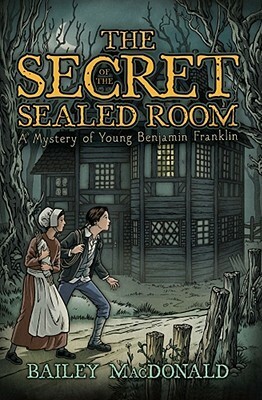 Filled with humor and nods to historical events, this is a classic locked-room mystery for the younger set. Sign into Goodreads to see if any of your friends have read The Secret of the Sealed Room.